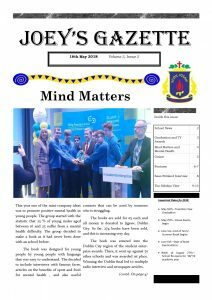 Please find above a link for the new edition of The Joey’s Gazette. This marks our tenth edition, and we are thrilled to be in double figures. Stories such as teacher interviews, success in sport, and Mental Health are to be found within! Enjoy! As always, please contact us at transition.year.joeys@gmail.com with any feedback!